This year’s pear is so wonderful. So fragrant, delicious, it’s our favourite. The distiller has brought the best out of the carefully selected Williams pear. The pear is also from the district. We simply cannot get enough of this fruit. It is so wonderful, fragrant and tasty. It is our favourite. 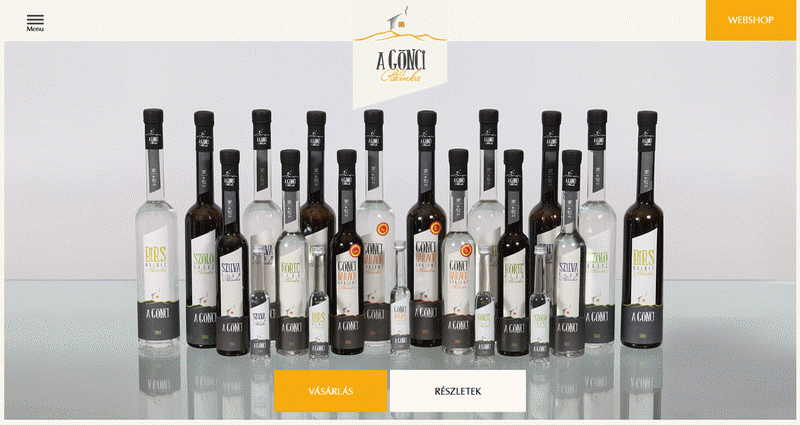 The carefully selected Williams pear is the soul of this palinka. And the distiller took the highest quality to a whole new level. Success is guaranteed. We add custom labels to our bottles, indicating the vintage year, too. Plum is the eternal winner. You simply cannot go wrong with plum. We had tasted the fruit, before the distiller processed it. Plum is the eternal winner. Classic. 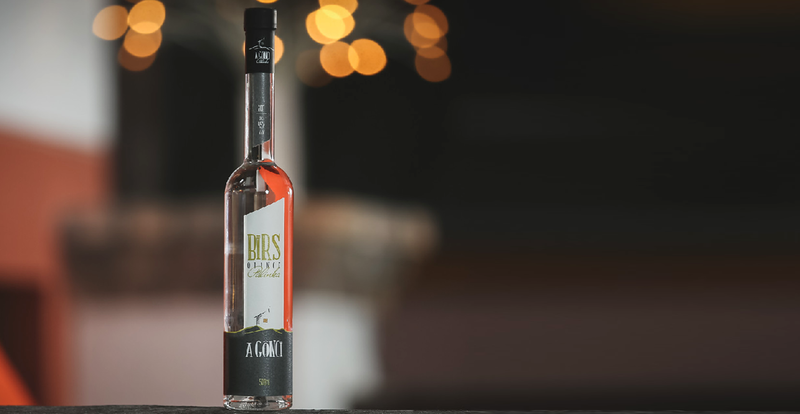 You simply cannot go wrong with the kisüsti plum palinka. 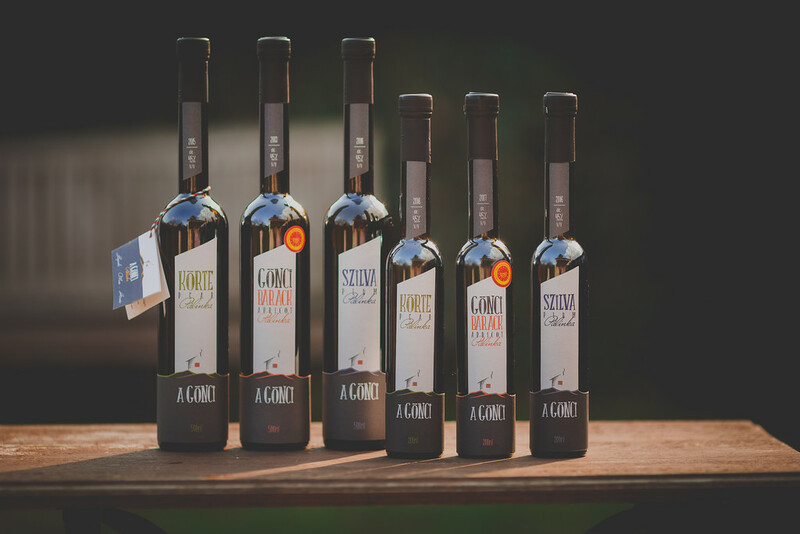 All the carefully selected ingredients came from the best orchards of the Gönc District. 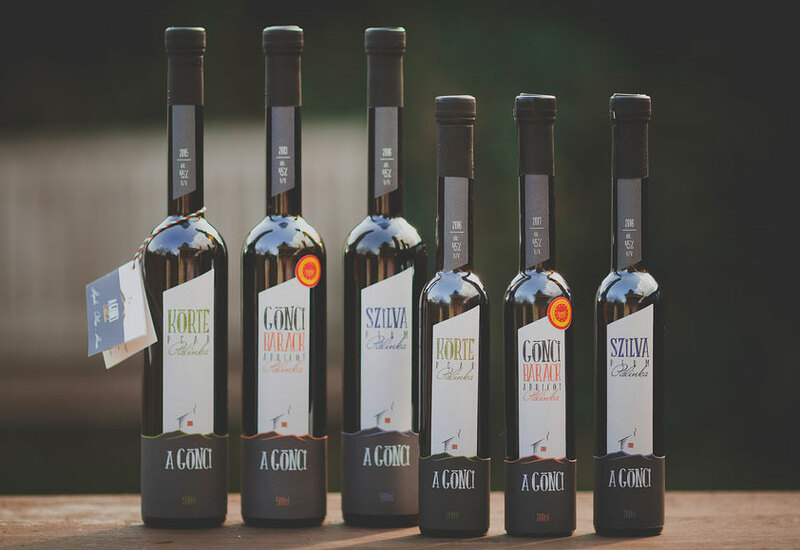 As we emphasize quality over quantity, only a limited number of bottles were produced. We guarantee everyone will like it, even those who did not really like plum before. Traditional specialty of the EU. It all started with apricot. It will always be our favourite, too. Original apricot from Gönc with PDO promotion. Nothing, but fruit, only the finest selection, delicious and ripe. This pálinka was made from original Hungarian Gönci apricot. Premium quality, without any preservatives. 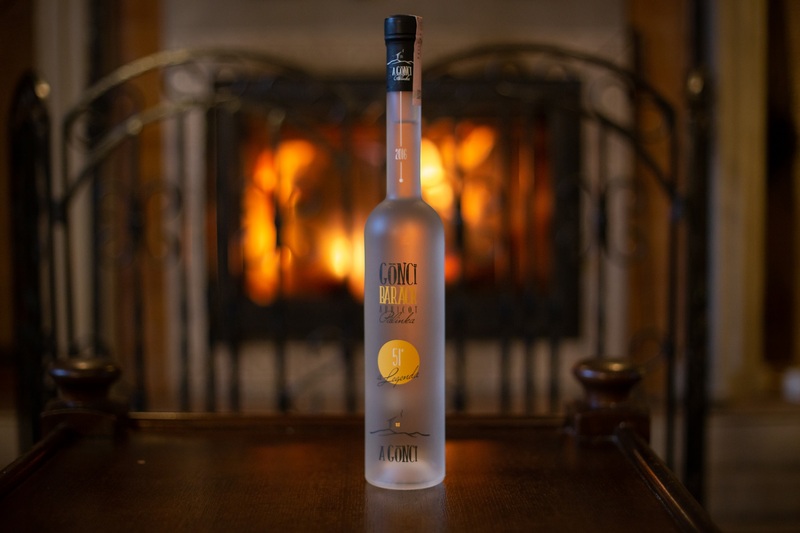 Thanks to the traditional “kisüsti” distillation method, this spirit embodies the perfect harmony of scents and tastes. Our grandparents have told us so many wonderful stories about it. 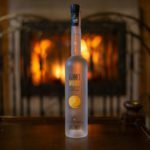 This is the handcrafted, high-quality apricot pálinka you have been looking for! Cheerful, intense, fruity. 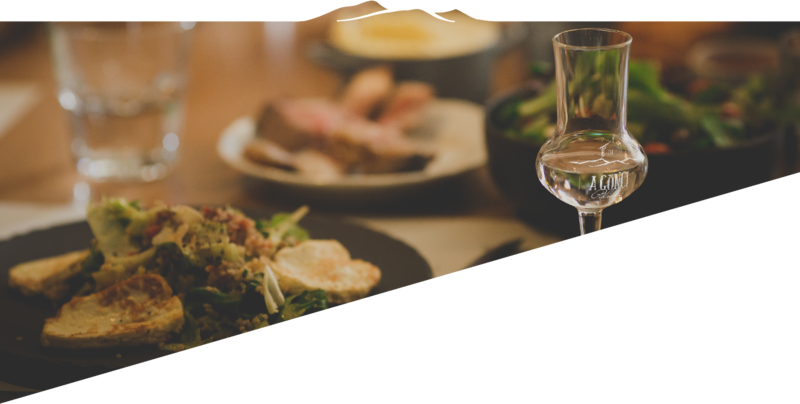 All these features dominate in our pálinka, which is made from Yellow Muscat, coming from the world-famous Tokaj-Hegyalja wine region. 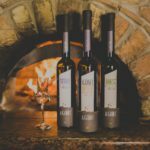 We bring the Muscat grape from Tokaj-Hegyalja, in order to create premium-quality “kisüsti” pálinka, which also reflects the great reputation of the region. 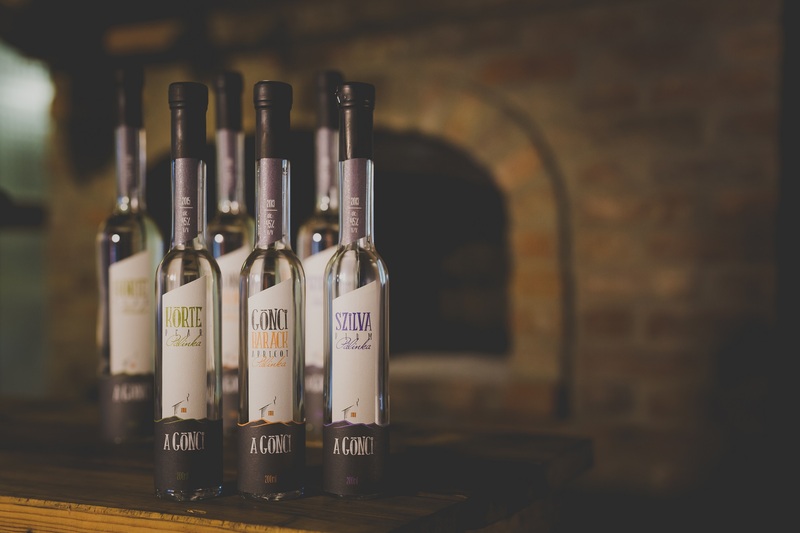 All the fruitiness of the Tokaj wines has been bottled for you in the form of tasty pálinka. Quince is the most fragrant autumn fruit. Memories, colours, tastes: all put together, in one bottle. Quince is also from the neighbouring lands and orchards, so we know exactly what went into the pot before distillation. There was a lot of work to be done, but in order to achieve excellent quality, it was totally worth it. Apricot is the most-liked flavour, but we make no secret of the fact that quince is the new favourite. It is a light, fragrant pálinka. The force is strong with this one and it has the fire inside, too! 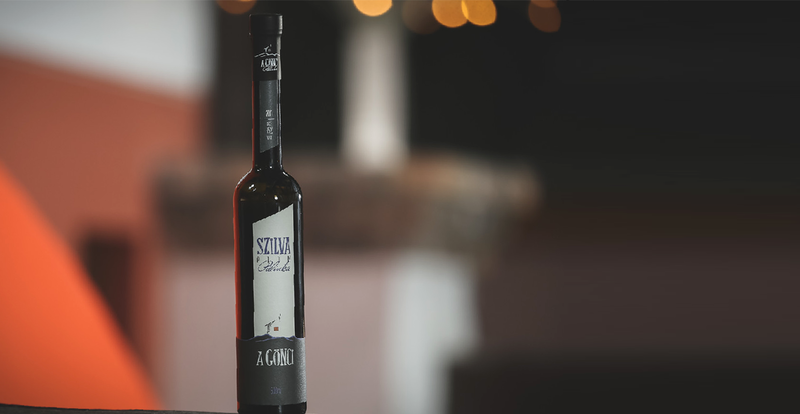 Tradition meets experience in this pálinka. 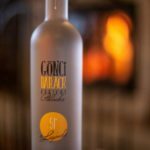 The beverage, which was specially made for the occasion of the 50th anniversary of the distillery of Göncruszka, delivers the essence of the Gönci Apricot pálinka. The distiller did his best on this one and created a 51° premium pálinka based on the original recipe, the one, which lives only in our grandparents’ memories. That is how the Legend was born. Only a limited number of bottles were produced. 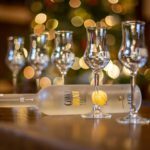 High-quality, handcrafted pálinka is a real noble and elegant present to bring joy to our partner, friends, business partners or someone who is passionate about pálinka. 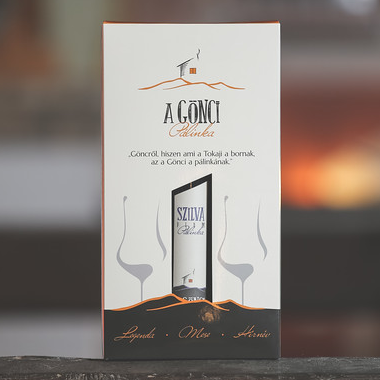 From now on A Gönci pálinka is also available in gift box edition: in addition to the 0,2 l or 0,5 l bottles, we give you 2 pieces of tulip-shaped glasses with A Gönci logo. 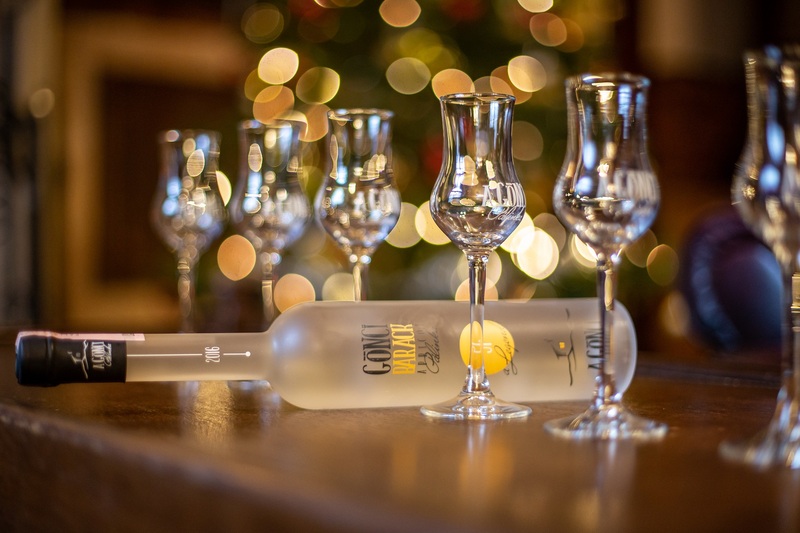 We wanted to celebrate the 50th anniversary of the distillery of Göncruszka in style. In light of this, we added a special premium-quality pálinka to the fine selection of our handcrafted products. 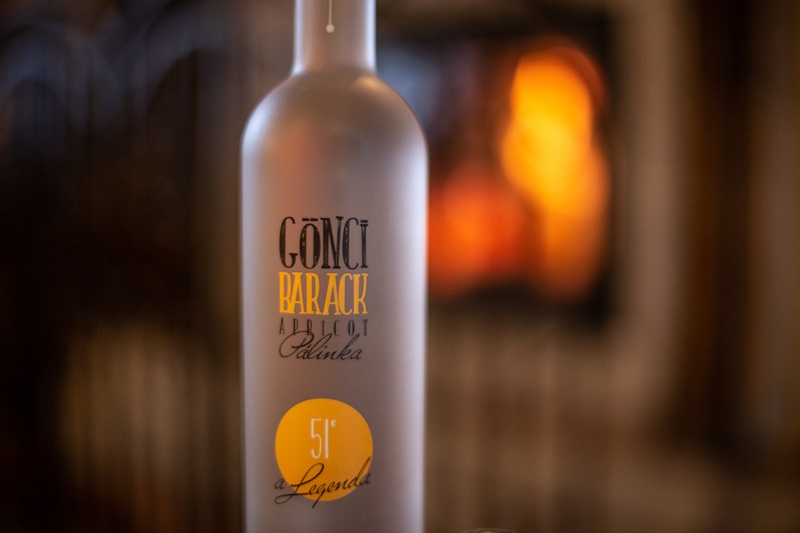 The 51° edition comes in a festive bottle, it has the essence of the original A Gönci apricot pálinka and it is also available in gift box edition. 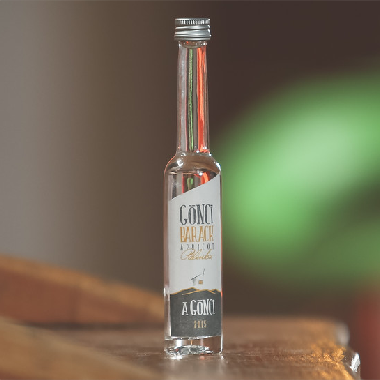 All of our A Gönci handcrafted pálinkas are now also available in 40 ml bottle sizes. This size is mainly for those who would like to taste first. 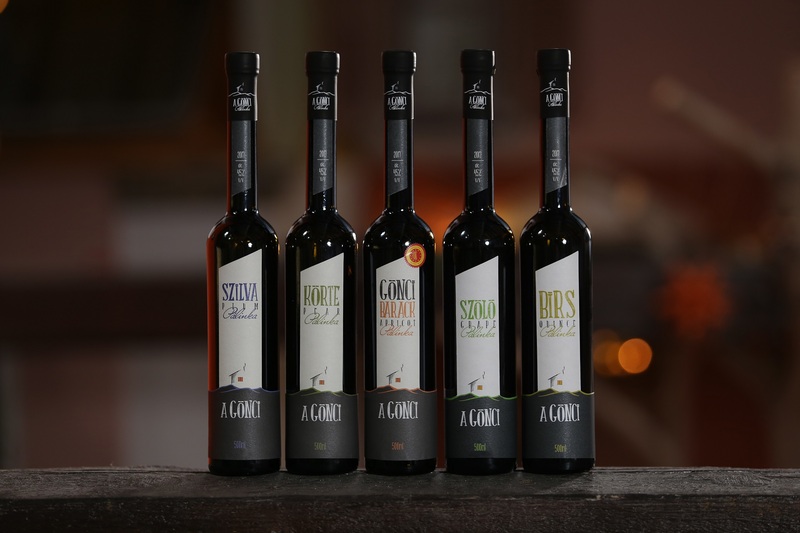 It will help you choose your favourite from our apricot, plum, pear, quince or grape pálinkas. 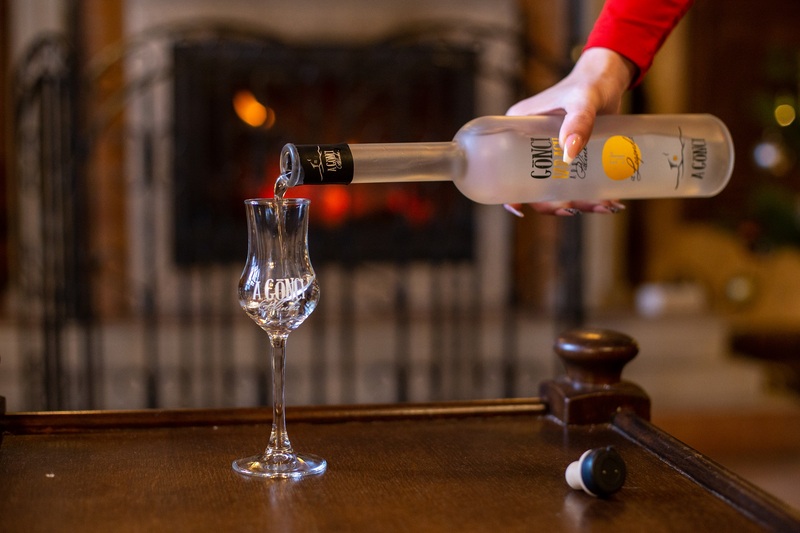 What really enhances the taste and texture of the real high-quality pálinka is the tulip glass. 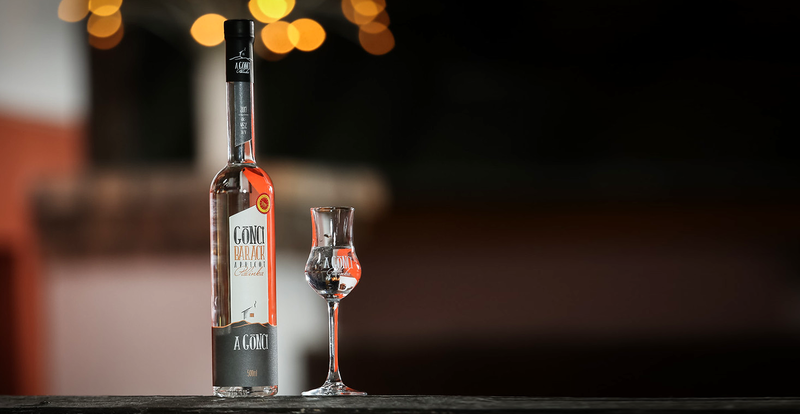 The shape of the glass makes it possible to carry the liquid to the corner of the lips, directly below the tongue, where we can feel the fruity aromas the most intensely. 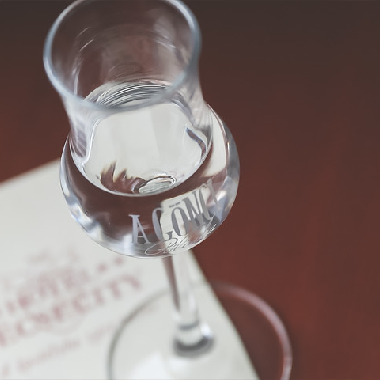 That is exactly why we offer our customers such tulip-shaped glasses, personalised with the original A Gönci logo. These are available in 6-piece set edition and gift boxes are coming soon as well. 50 years’ experience in the peach orchard. 30 years’ experience in palinka distillation. 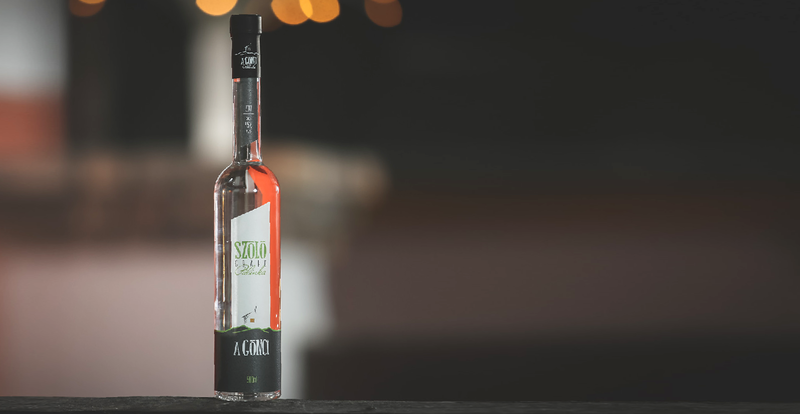 Growing up in Gönc, István was simply born to be a distiller, and of course a farmer, too. Just like the vast majority of the people in Gönc and its district, he has been picking apricot since his childhood, which was mainly used for trading purposes at that time. During his career he stayed at his hometown and took leadership in the management of the peach orchard of the local agricultural producer cooperative for more than eight years. He mastered all the ins and outs of peach-growing. 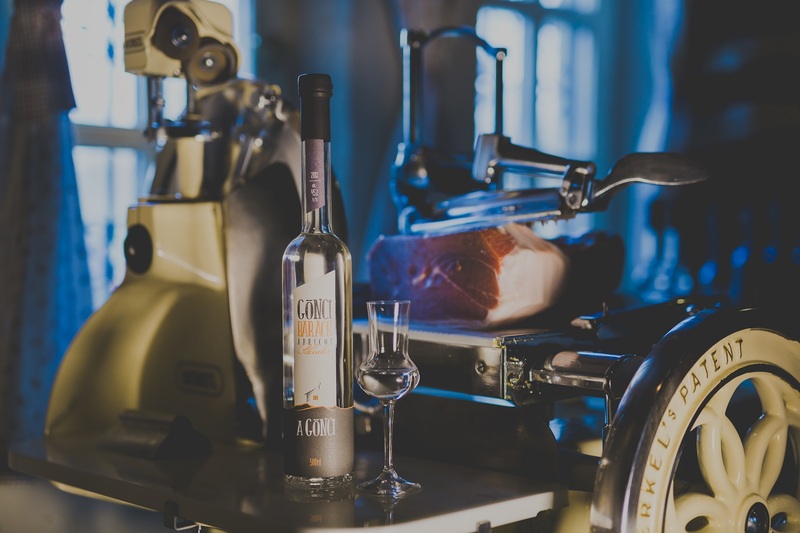 During this period he already visited the distillery in Göncruszka many times. He was interested in the science of palinka distillation. 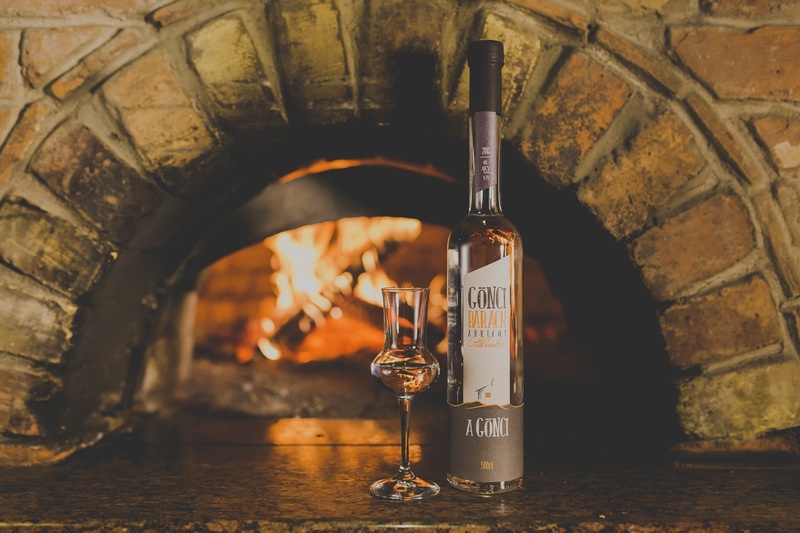 He started there as Uncle Pali Kovács’ assistant, who was the director of the distillery at that time and in 1990 István was requested to be the new leader of the company. At first it was a challenge for him, but István quickly mastered the profession. He obtained all the necessary qualification, learned from experts, and he has taken part in every professional forum so far. 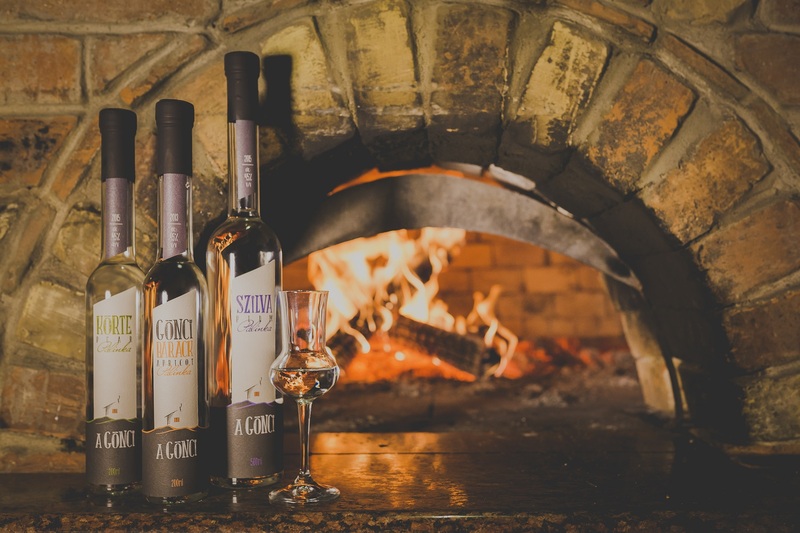 The distillery is specialized in commercial distillation and it distils palinka for hire, too. It often happens that customers who choose distillation for hire come from far away, especially when they want to distil apricot palinka. This is the largest distillery in the region even nowadays and it earned itself a high reputation during the previous years. 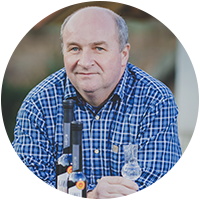 István passes on all the knowledge and experience he obtained humbly and respectfully, since his goal is to deliver high-quality palinka to his customers. 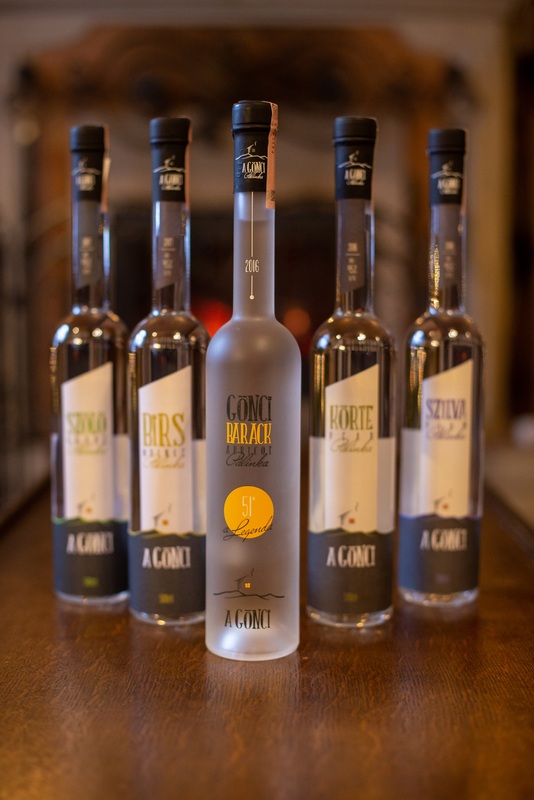 Just like the reputation of the Gönci apricot, the history of the distillery dates back to the early days, too. The distillery in Göncruszka was built between 1968 and 1970. At that time, approximately 200 m2 apricot orchards were established in Gönc and Göncruszka; the main goal of the distillation was to recycle damaged and spoiled fruits. 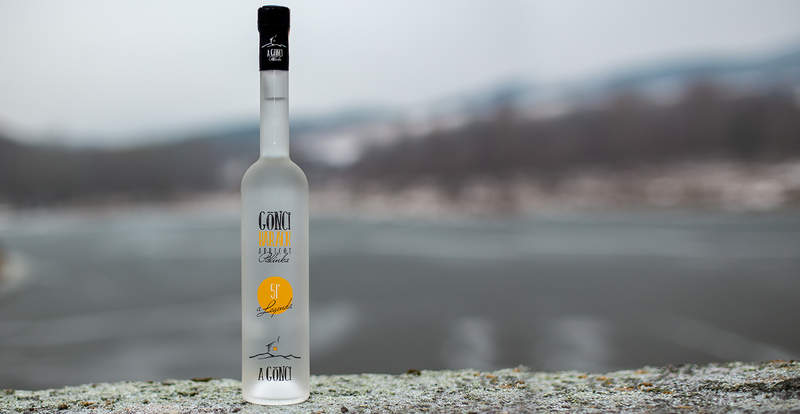 Nowadays the distillery is the main scene of the production of the original Gönci apricot palinka. 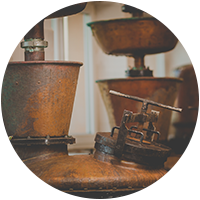 That is how the largest distillery of the region was founded, where steam- and traditional machines are both used. The copper pot stills are capable of distilling 1800 litres of mash at once. In 2013, the company made a larger investment in new technology. During the renewal works, the vast majority of the equipment was replaced by a new, modern system, and the interior of the building got completely reorganised. 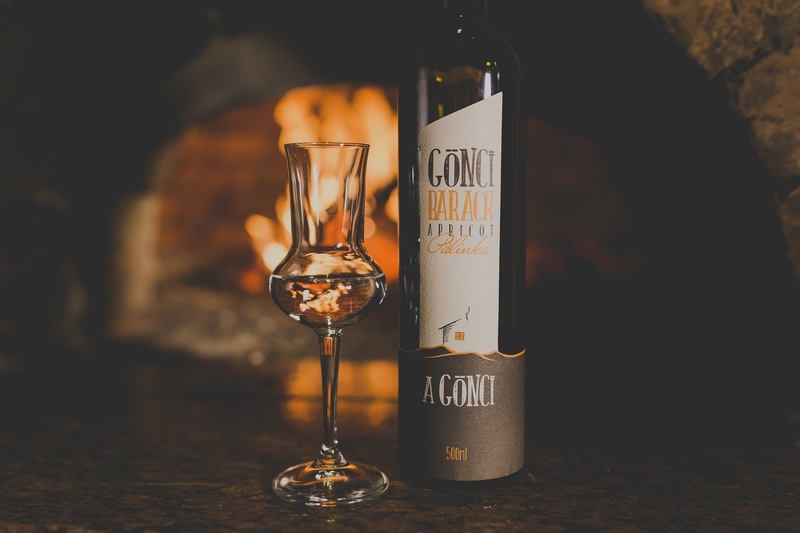 Nowadays the distillery is the main scene of the distillation of the original Gönci apricot palinka. Experience and tradition. 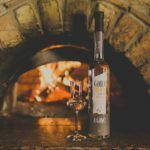 Who would know it much better than the local people, who produce the best palinka for us with the help of 50 years’ experience? 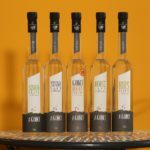 Furthermore, the factory also distils palinka for hire, since everyone knows in the neighbourhood: if they want to get the most out of their fruits, they are at the best place. Without a doubt, apricot is our favourite, especially the Gönci apricot. Hungarian Gönci apricot has been granted PGI promotion, because its quality is so outstanding compared to other varieties of the fruit. What is more, such delicious and aromatic types can only be grown in this region. At the same time, all other kinds of fruits that grow here are also high-quality products with excellent sugar- and moisture content. All of them could be perfect ingredients for palinka. Plum, pear, apple, quince, grape also grow here as well as some wildings. Sooner or later we will distil palinka for you from them, too! The greatest gift the soil provides us here is definitely the fruit. We respect this value very much! It grew here. It was distilled here. Only from fresh fruits. Sugar-free. It is ours! 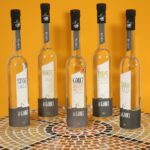 The definition of palinka in the EU has limitations: the name pálinka can only be used for those spirits that are produced in Hungary, exclusively from fruit grown in our country. Adding sugar to the mash just to give it some extra flavour is absolutely forbidden. 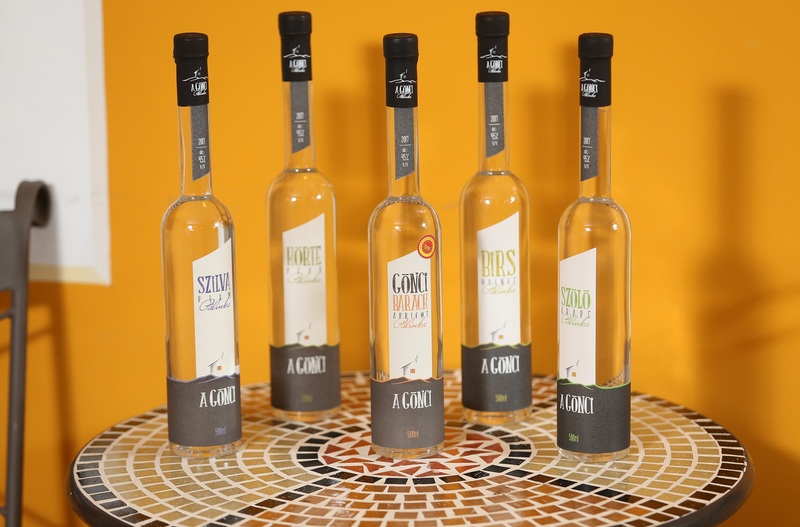 Austria is the only country that received the rights to use the name apricot palinka in four of its provinces. 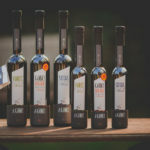 Original, high-quality palinka is transparent, colourless; but of course other varieties, such as “ágyas” (bedded) or “érlelt” (aged) have different colours. 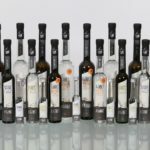 WHAT IS NOT CLASSIFIED AS PÁLINKA? Spirits mixed with honey or sugar. Anything which is not made from fruit. All types of alcohol that is honey-flavoured, contains added sugar or other preservatives. 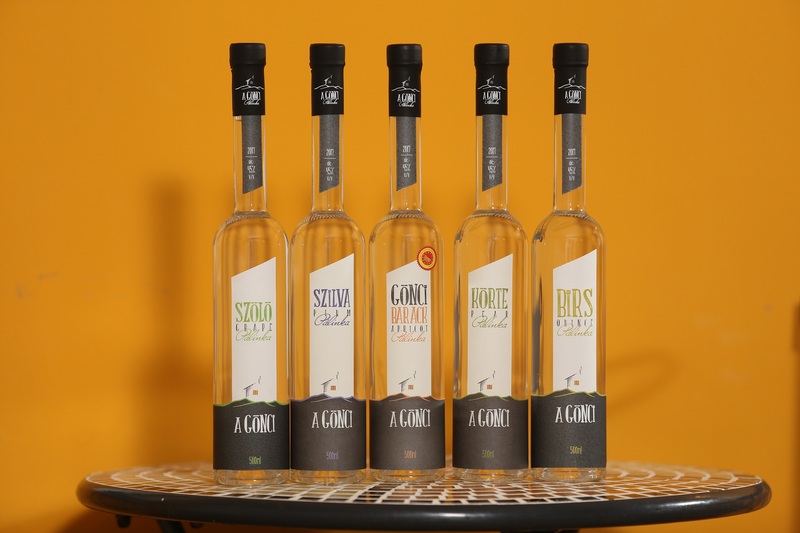 All types of spirits that are not made from Hungarian fruits. Any alcoholic drink which does not get its alcohol content from fruits. These are only spirit drinks and should not be confused with palinka. Be very careful! 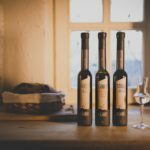 Drink original, high-quality palinka! If the capacity of the pot still does not exceed 1000 litres. According to the regulations of “kisüsti” technology, the capacity of the pot still cannot be larger than 1000 litres. It is a traditional double distillation method. 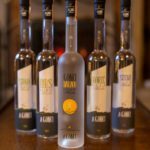 During the first step of the process, a liquid better known as “alszesz” (raw alcohol) is produced. Raw alcohol is not suitable for direct consumption; it is neither too strong, nor too fragrant. In the second step raw alcohol is refined through re-distillation, in a smaller pot still. The result of this stage is the original “kisüsti” palinka. 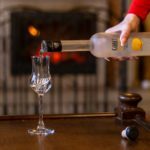 However distillation has been present for thousands of years, the spread of spirit drinks in Hungary dates back to the 16th century, when Queen Elizabeth, the wife of Charles I of Hungary, used aqua vitae as a medicine to cure arthritis. This spirit was probably a brandy blended with rosemary. Although distillation became widespread all over the world during the 16th-17th centuries, at that time the main purpose of distillation in the Carpathian Basin was to save the fruits that could not be eaten. 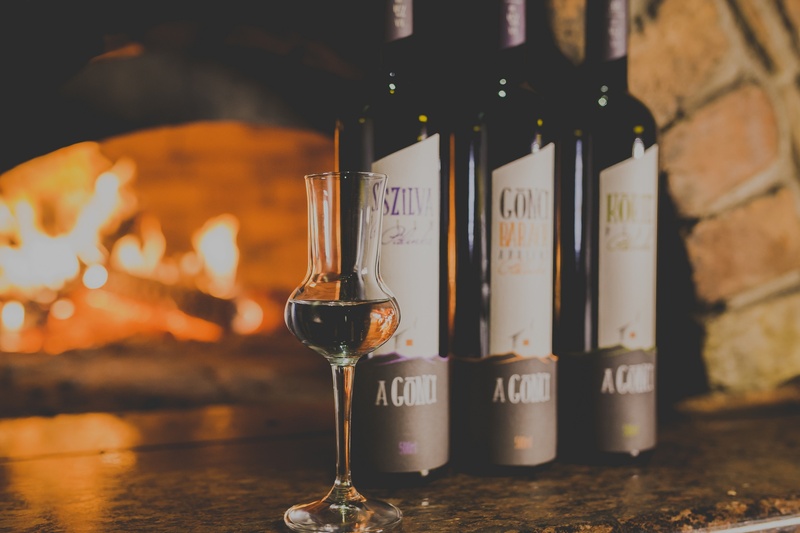 In the 16th century, “szilvórium” was the most popular type of palinka. 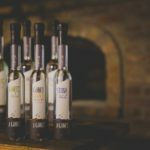 The Slovakian word palinka was first used in Hungary in the 17th century. In the beginning, it only referred to distillates made from grain, but later it was also used for fruit-based spirits. 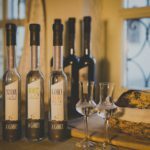 The production of palinka in our country was done privately, in small distilleries. During these times the government already did its best to make profit from the distilleries. 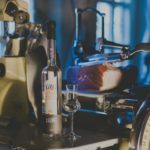 Distilleries had to pay a huge price to redeem the rights to distil, however palinka tax was only introduced in the second half of the 19th century. Alcoholic beverages became more popular and their quality also improved during the industrial revolution by using steam. 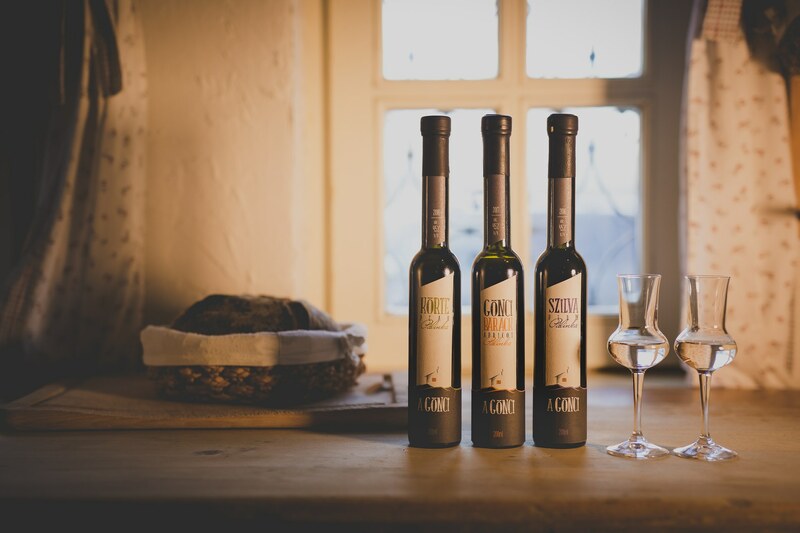 A growth in quantity caused a huge drop in prices, palinka became more like a consumer good instead of “medicine”. As a result, the industrial production of alcoholic drinks and liquors started. 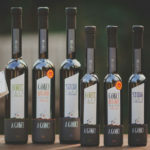 Since 2008, the production of Hungarian palinka has been regulated by the so-called “palinka law”, the drink has been a real Hungarian speciality ever since. The special geographical features of the Carpathian Basin were even acknowledged by Plinius (Pliny the Elder) in Naturalis Historia (Caius Plinius Secundus Maior, Historia Naturalis, 77. ), he described our land as “Fruit growing Pannonia”. Thanks to its favourable geographical features, the landscape of Hungary is perfect for fruit-growing. This is also the reason why Hungarian fruits have remarkable, high-quality flavour and aroma. Hungarian apricot already made a reputation in Europe in the 16th century. The name “kajszi-baraczk” (apricot) first appeared in János Liptay’s works, it was named after some other types of apricots. The second half of the 19th century was the real golden age of the Hungarian apricot. 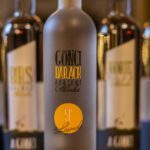 Basically, Gönci apricot became a well-known brand in the 1950-60s, when the production profiles of smallholdings and communal farms also strengthened. It was previously acknowledged in 1960 (Hungarian apricot 235 C.) and Gönci apricot became an officially acknowledged variety of the fruit in 1976. 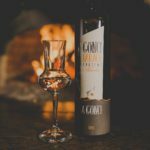 The brand became well-known especially from the 1970s, which was mainly the result of the large-scale production and trade of the apricot palinka. 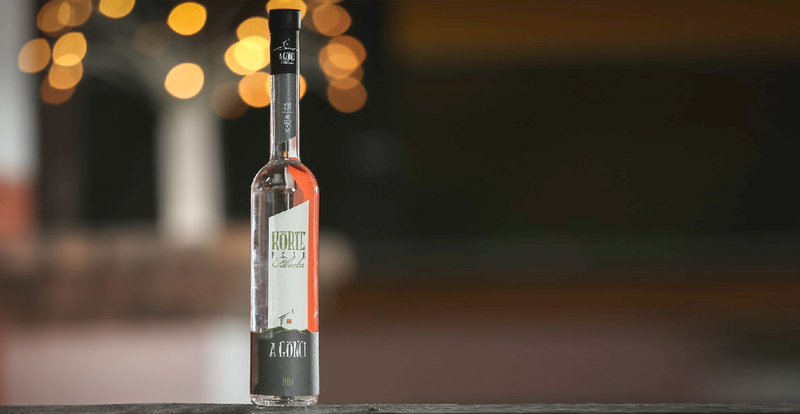 Climate, high quality fruit, traditions and full compliance with all the technological restrictions are some of the key factors that make Gönci apricot palinka unique. 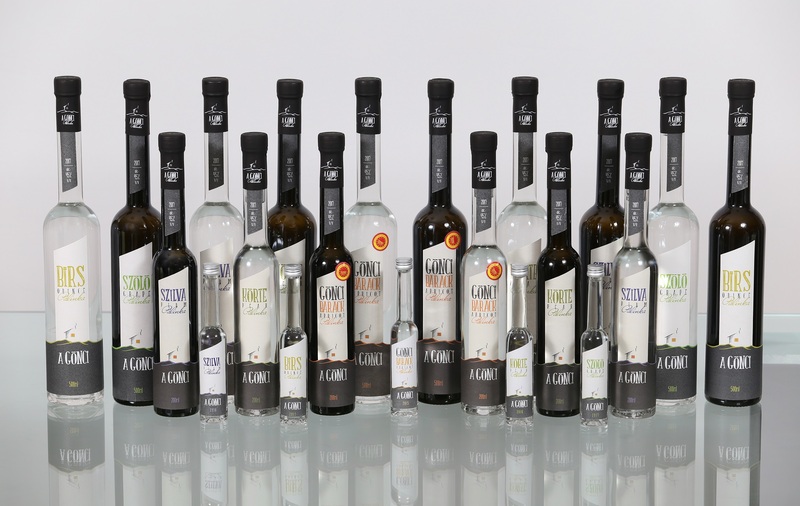 Top quality, excellent palinka could only be produced from high-quality ingredients. 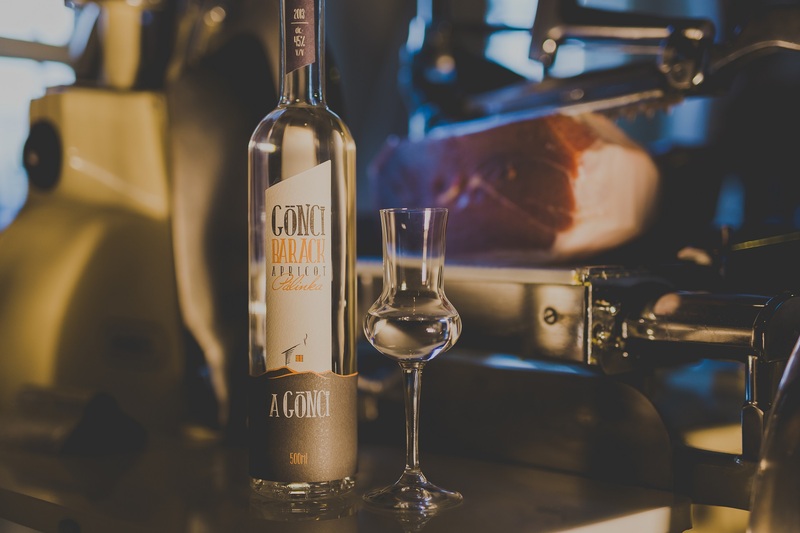 Apricot, the essential ingredient of palinka production can only be grown in those areas of the producing region of Gönc that are suitable for planting the fruit. 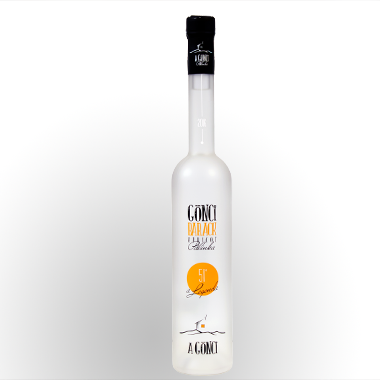 Gönci apricot palinka can be produced and bottled exclusively in the distilleries of the district. * for more details on this topic, see by the Ministry of Agriculture’s Deputy State Secretariat for Origin Protection. HOW TO PROPERLY DRINK PÁLINKA? Slowly. Just sip it! After meal. Moderately. 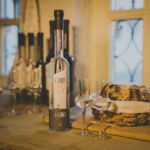 Palinka should be consumed at room temperature, around 15-20 ℃, from a tulip-shaped glass. 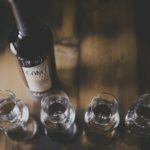 First we should tilt the glass a little bit and give a swirl to the drink, or just make a few circles with the glass, just like before tasting wine, and then we could immediately smell and enjoy the aroma of the palinka. After the mandatory clink of the glasses, palinka should be sipped slowly. Drinking it in one gulp would be inappropriate – that is nothing, but wasting the drink. 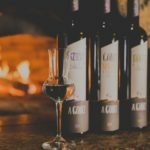 Again, similarly to wine tasting, “chewing” palinka is also a good way of exposing it to every part of the mouth, especially below the tongue, where its aroma exerts its effect the most intensely. Right after swallowing the drink, we could smell the scent of the fruit by inhaling through the nose and exhaling through the mouth. 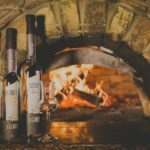 The longer the aroma of the palinka lasts, the better the quality of the drink is. The last stage of the drinking is the so-called “dry test”. Once the glass is empty, put it aside for 3-5 minutes then feel free to sniff into it. We will smell a full-bodied, fruity, jamlike fragrance. 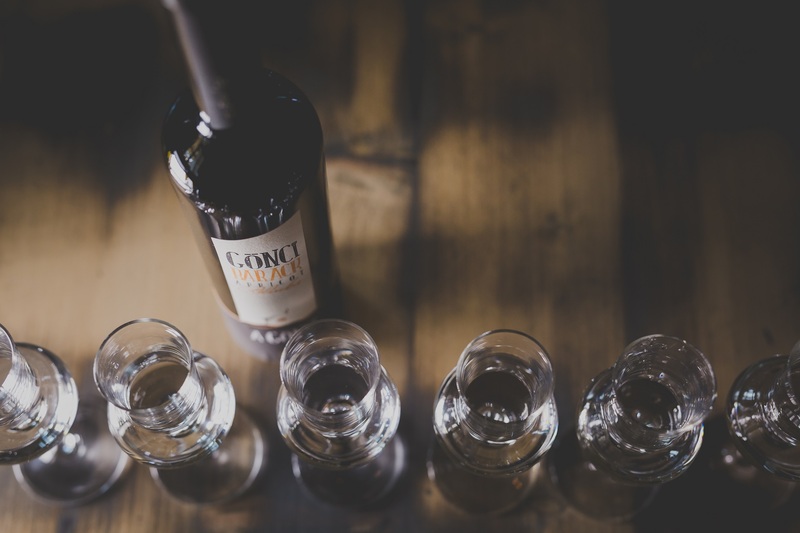 We recommend drinking palinka mainly after meal as it has a beneficial effect on digestion. Fruit mash is prepared from fruits. Then it is distilled in two stages. The last step is aging. The first step of making palinka is the bulk of the work: the carefully selected, high quality fruits are prepared and cleaned. Stone fruits are pitted, other fruits, like apple are ground. The second step is the fermentation: additives, like pectin enzyme, acids and yeast extract are added to the fruit mash. Then fruit mash is pumped into fermentation buckets, where the conversion of fructose to alcohol is performed by yeast. It could take one to four weeks to complete the process. The buckets are covered by cooling jackets in order to keep the mash at 17 ℃. At this stage, mash is prepared for distillation and transferred into the pot still. According to “kisüsti” technology regulations, the capacity of the pot still cannot be bigger than 1000 litres. The distillation of “kisüsti” palinka is carried out in two stages. In the very first step, the result is called “alszesz” (raw spirit). This liquid is not suitable for direct consumption; it is neither too strong, nor too fragrant. After this, the raw spirit is refined through re-distillation in a smaller pot still. 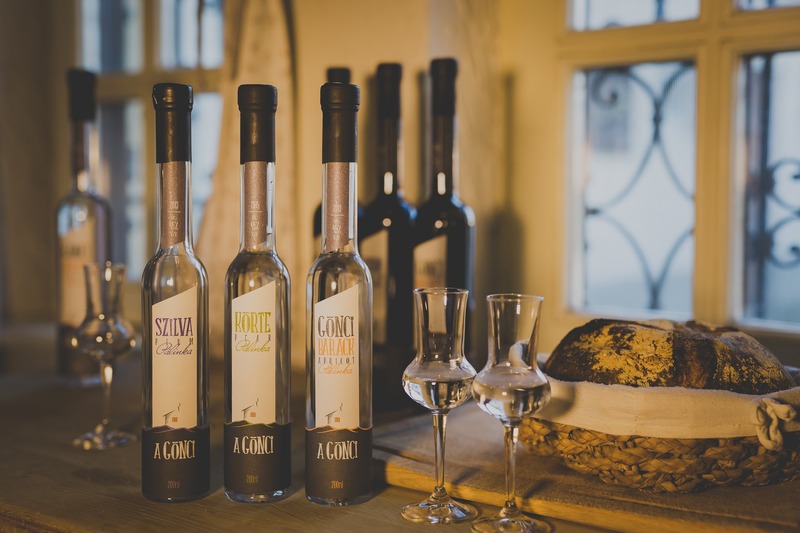 The outcome of this process is the original “kisüsti” palinka. The pot still is a double-walled equipment, between the two layers hot steam or water is circulated, which is used for heating the mash. Such indirect heating is easy to control, so the liquid always boils at an ideal temperature. Straight after the refining process, we get the palinka itself. 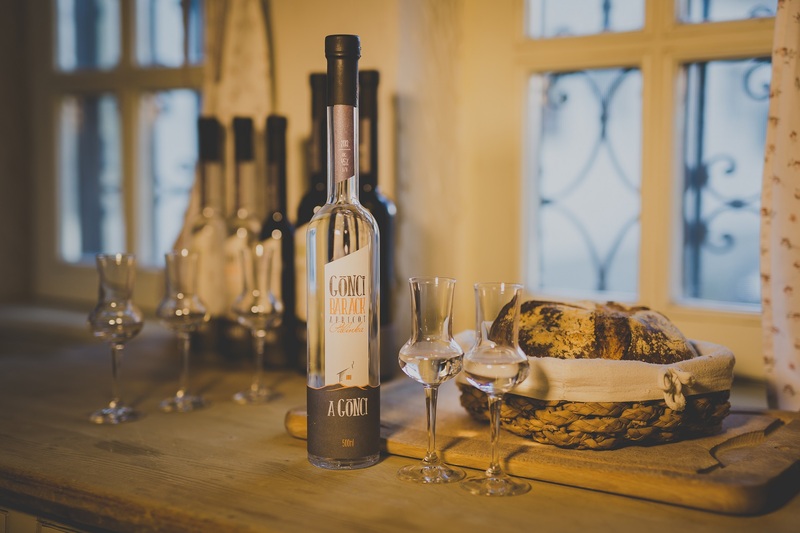 In general, 400 litres of mash can be used to produce 8-80 litres of palinka; the volume strongly depends on the fruit. As the last step, distillation is followed by aging; during this period, palinka achieves its real flavour and aroma. Before bottling, palinka is stored and aged in tanks made of stainless steel or wooden casks. Column distillation process is more and more popular in modern distilleries. The advantage of column distilling is that one single distillation is enough to produce palinka. Vapour is transferred from the pot to the fractionating column. Thanks to this device, only vapour with high alcohol content and aroma is carried to the spiral coolers. We have bottled for you what lives only in our grandparents’ memories. And these are really vivid memories. The Original and the perfect one. It all started with apricot. Then we produced different varieties as well. 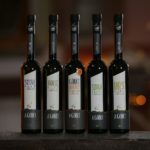 Handcrafted palinka, in premium quality. The way it should be. 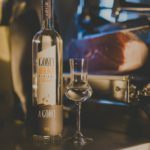 The legendary Gönci apricot palinka has been produced in the distillery in Göncruszka since 1970, which is practically the goldmine of the village. 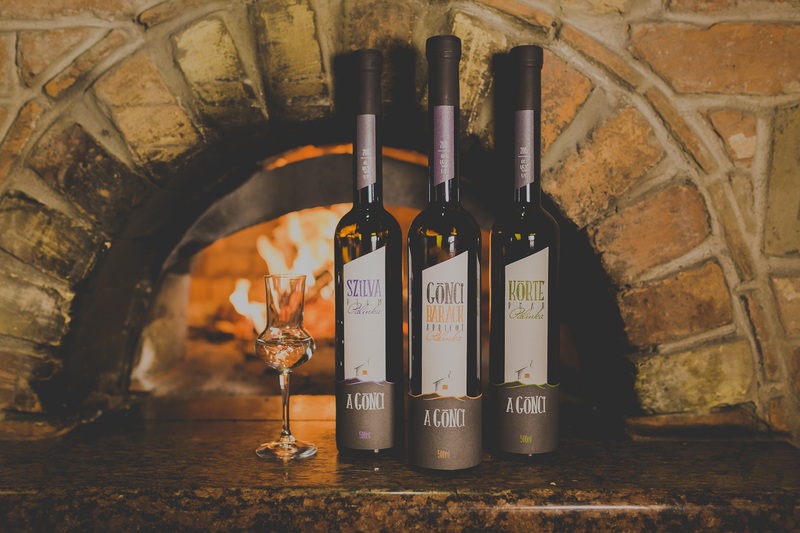 All the necessary background knowledge, expertise and tradition are provided; we only have to bottle and bring you the palinka, made on the basis of the original recipe. All the carefully selected ingredients come from either our own orchards or from the most reliable farmers within the region, people whom we know personally. We thoroughly double-check every single piece of fruit, no matter if it is apricot, plum, pear, quince or grape. 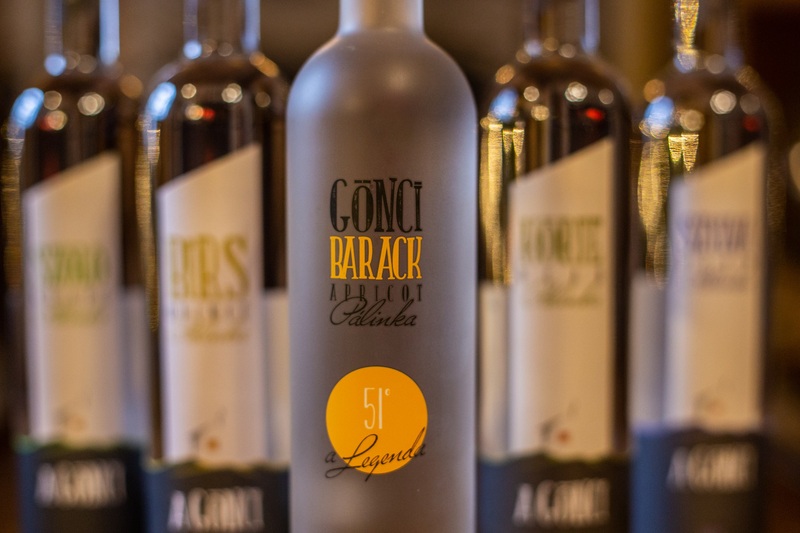 Quality is the most important aspect for us, since we have to protect and take care of the reputation of palinka, our national specialty and of course our own brand, Gönci apricot palinka as well.